A Wellesley woman has cashed in big on the month’s first LOTTO MAX draw. 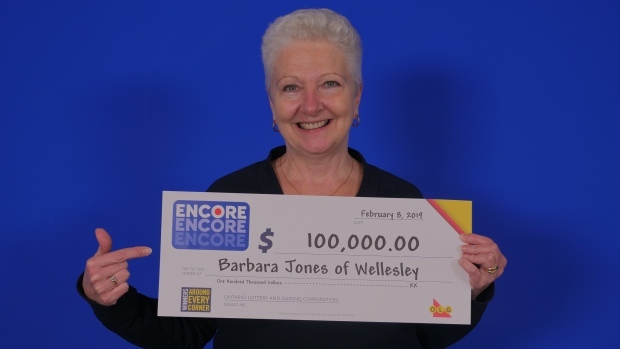 Barbara Jones won $100,000 by matching the last six of seven ENCORE numbers in exact order. The game can be played on most online lottery games for an extra $1. The draw was on Feb. 1. Jones purchased her winning ticket at Zehrs on Ottawa Street in Kitchener.